I spent this cold, snowy, and wet day checking osprey nests. I drove 139 miles and visited 23 nests. Ten of those nests were incubating. 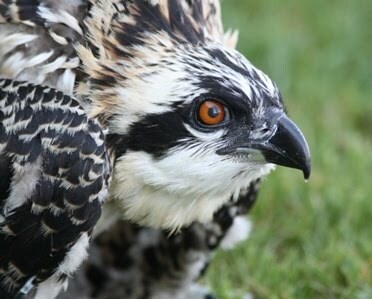 Seems that a lot of ospreys laid eggs in the past week. A few nests that had one or more birds in them last week, were empty today. I also found a female from another state, which one I am not sure, but she had a different color band than is used in Minnesota. Very hard to read. I will figure it out tho! I watched a number of females sitting on the eggs as the snow swirled around them like a snow globe, with no males anywhere in sight. No fish deliveries, no relief from their duties. And unfortunately , no chance for me to read the males bands! The sleet pelted my face as I moved between two close nests for 2.5 hours, hoping to get the males bands read. Skunked. Still, it was oddly enjoyable to be out there silently observing the unfolding of this strange spring. I watched a great horned owl and her large chick sitting side by side on a nest quite near an osprey nest. GHO's are one of the main predators of ospreys, so this is slightly discomforting. Sometimes they coexist peacefully, sometimes they sequentially kill the osprey chicks. They can even kill an adult osprey. At the last nest I visited I witnessed a bald eagle relentlessly chasing and dive bombing an osprey, with some serious aggression on display, and it went on as far as I could see...until they disappeared over the horizon. I also received a generous donation today from Debbie Engelmann. I am so grateful for the financial support as well as the kind words of encouragement for what I am trying to do. It means so much to me to know that there are those who understand the amount of effort involved and the value of this research. I couldn't do it alone. A million thanks to Debbie for all she has given to this project.